All SILVER STRIKE LODGE homes currently listed for sale in Park City as of 04/19/2019 are shown below. You can change the search criteria at any time by pressing the 'Change Search' button below. 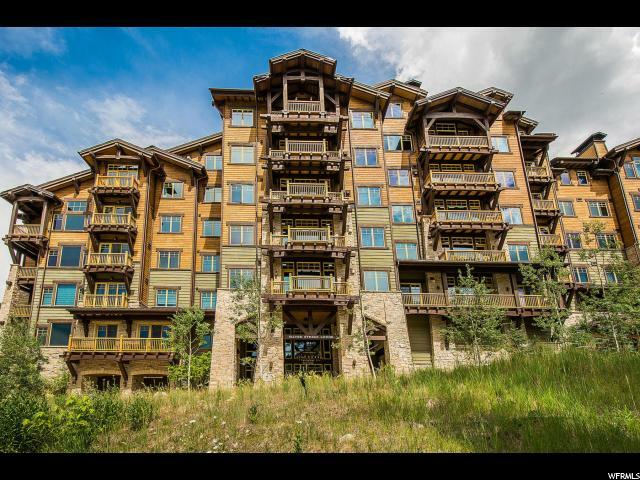 "Meticulously cared for ski-in ski-out condo at Silver Strike in Empire Pass. This unit has been updated and designed by Alder & Tweed with high end furnishings throughout. Unit 407 is a corner unit on the front of the building with views looking up Empire Pass towards The Montage. Silver Strike features an owners lounge, ski lockers, fitness room, and a hot tub & fireplace area right off the ski run. Being sold turn key with all furnishings along with a membership to the exclusive Talisker Club. HOA dues cover trash, water, sewer, electric, and gas. "